An anonymous $50,000 check marked the start of Prince’s donations to climate change and clean energy causes. 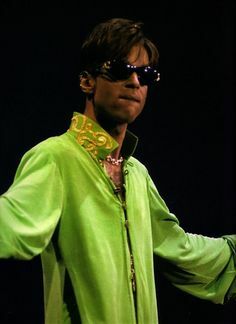 Van Jones — the CNN political commentator and former Obama administration green jobs advisor — revealed that Prince had secretly funded among his many causes, ones that supported clean energy. Jones, President and Founder of Green For All, a group working to fight climate change and bring green jobs to underprivileged populations, first came into contact with Prince 10 years ago. In an emotional interview, political commentator Van Jones revealed that his close friend Prince wasn’t just a musical icon but also a major philanthropist. One of his many initiatives included helping Oakland, California residents go solar. “He was an incredible humanitarian… There are people who have solar panels right now on their houses in Oakland, California that don’t know Prince paid for them,” Jones said on CNN Tonight with Don Lemon.